Let’s regale you with a tale music fans! I caught singer-songwriter Gareth Dickson at a recent Edinburgh house concert and was bowled over by the intricate, wistful worlds he conjured with his deft fingertips. An artist who demonstrates incredible skill, his songs have strikingly original compositions and are filled with intricate, mesmerising guitar work. Here Gareth fills us in on an influence and friend, Australian singer-songwriter Ned Collette. I have chosen an Australian singer/songwriter called Ned Collette; you can start anywhere with him but if I had to pick a couple of tracks they would be Boulder and The Country With A Smile. I met Ned in Australia when I was playing there in Vashti Bunyan‘s band. He and his girlfriend came up to me after the gig and we got talking. He told me he was a musician and was planning to come to Europe soon and we swapped email addresses. For me it’s just great pop music, sometimes he reminds me a little of David Bowie, other times Leonard Cohen, but essentially he has his own voice. It’s usually catchy and melodic but there is always a depth to it as well. True to his word he came to Europe and actually spent some time living in Glasgow. We met up a few times for a drink and he and his Ozzie pals are among the only people I’ve met who like beer more than Weegies do. I remember one of them in the kitchen at a party completely wasted with his mobile phone in an empty pint glass to act as a kind of bass boost for some awful techno he was dancing too. Hi-tech stuff. They have great phrases too, as anyone else who wasted a good part of their youth watching Neighbours and Home And Away already knows. 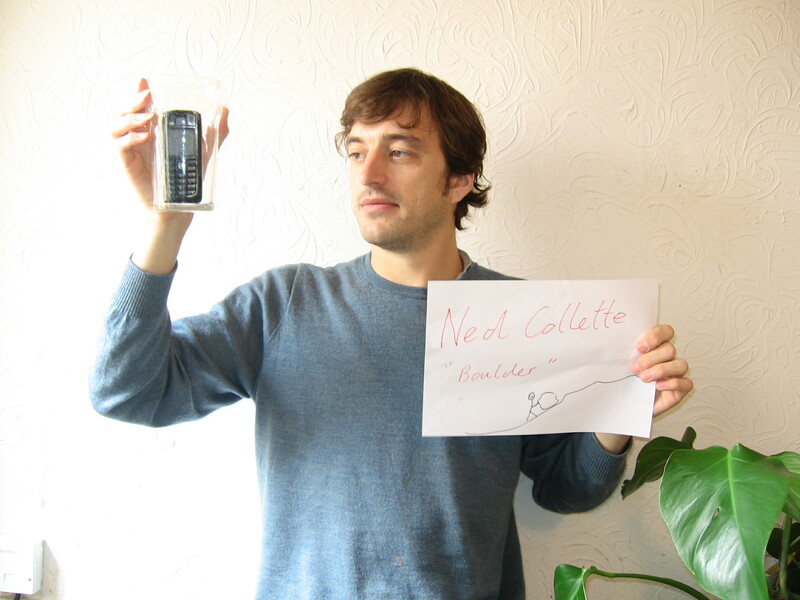 Find out more about Ned Collette here and check out a selection of Gareth’s music below! His live set is memorable, catch it if you can.